The Soviet Unions aim was to assimilate Finland. They established a Quisling type government by appointing Soviet residents in a puppet regime, which they claimed to be the official government of Finland. These puppets were based in Terijoki, the first town that the Russians overran across the border. That Terijoki government was now, according to minister Molotov the official regime of Finland and the only regime that the Soviets would recognize as a partner in peace negotiations. That declaration unified the Finnish population with the realization that their very existence was at stake and even the Finnish socialists participated almost unanimously and heroically in defending their country. The Finns put up , despite their underdog status, a stiff resistance to the Soviet invaders. Soviet premier Khrushchev overestimated in his memoirs that the Soviet losses were 1 million men. The enormous Soviet losses were not a result of Finnish superiority in modern weapons. Finland was, in fact, very poorly armed. The socialists in the Finnish parliament had been opposed to defense spending, so when the Soviet Union with its 160 million people attacked Finland with 3.5 million people the Finns were short of troops, they also were short of weapons. The Finns had very poor defenses against tanks. They had a few cannon, but they were cumbersome to move in the snow, so a great number of them were overrun by the attacking Russian troops. The Finns started to use a bottle filled with flammable liquids to destroy Russian tanks. 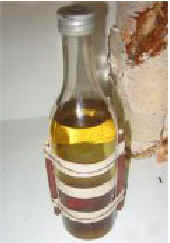 The original bottle was filled with gasoline, and a rag wrapped around the throat of the bottle. The rag was set on fire before the bottle was thrown at the tank. Upon impact the gasoline burst in flames. The best location to throw the bottle was on top of the engine, where engine lubricants were present and where the air intake dragged the fire into the engine. This was to be known as the Molotov Cocktail. Later versions of the Molotov cocktail were a mix of gasoline, kerosene and tar. The tar clung on to the surface better, and produced more smoke. The ignition method also evolved from a burning rag outside the bottle to an igniter which was inside the bottle and started the fire upon impact. The bottle used was a .5 liter alcohol bottle. 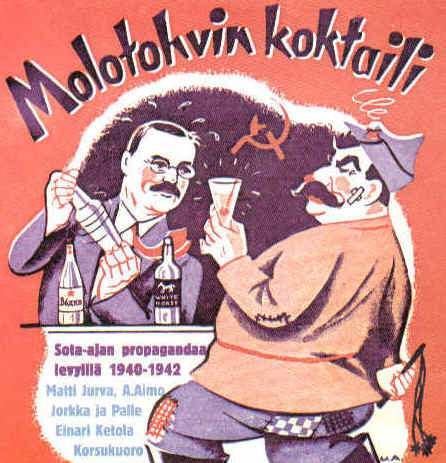 To my knowledge, no one has been identified as the originator of the term Molotov Cocktail. Hotell Kämp in Helsinki became the center for foreign press that came to Finland to report on the Winter War. It is assumed that the Molotov Cocktail name was invented by a foreign war correspondent, who had an ironical bent. Hoisting one for Molotov, by burning one of his tanks in the process, has sarcasm and mockery all in one word. Who first used the term for the first time is unclear. Someone with access to major newspapers from Dec. 1939 could check who first used that term in their article. Donald Day of the Chicago Times is one suspect. WHO HOISTED THE FIRST MOLOTOV COCKTAIL? The burning bottles had been used before the Winter War, but it was during that war when they were first identified as Molotov Cocktails. The issue is then, who was the first to take the burning bottle into use during that war. The book Marskin Ritarit, which chronicles the exploits of the 191 men who have received the highest Finnish war decoration, the Mannerheim Cross, gives lieutenant Kullervo Sippola the honor of introducing the burn bottle into the Winter War. Sippola was born Oct. 31, 1914. He was a foreman for a building contractor, and had made several inventions. Sippola was an outstanding soldier. He did not get the Mannerheim Cross for his use of the Molotov cocktail in destroying Russian tanks, but for his proficiency to destroy tanks with a cannon. 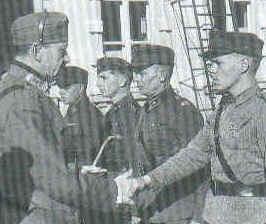 Marshal Mannerheim hands Sippola the Mannerheim Cross in Sept. of 1942. Sippola was known to hoist a few drinks when he was on leave. Once he had left a Helsinki watering hole with a happy group of friends. A general, who had never smelled gunpowder, and who had spent the war behind a desk , but who was used to receive salutes met Sippolas group on a Helsinki street. Sippola paid no attention to the general. The general, annoyed for not being saluted yelled after Sippola  Lieutenant, what did you forget? Sippola turned around, took a few steps to stand in front of the general, and Sippola then hit the general square on the jaw. The general was flat on his back on the asphalt when Sippola calmly responded  General, Sir, thats what I forgot. Recipients of the nations highest military order do have a few privileges. One of them is, that reports about gross misbehavior are filed in the round file. On June 13, 1944 the Russians attacked Sippolas positions. He had to get out from a trench and run over a narrow road. He was shot during the attempt. Her fell down in the trench, dead. It was downhill for Molotov after Khrushchev won the power struggle after Stalins death. The person cult that Molotov had enjoyed stopped overnight and printers were busy to print new history books, now without any photos or mention of Molotov. Factories and other things named after him, changed names. The freighter Vyacheslav Molotov became Baltica and so on. Molotov managed to save his neck, but he was booted from the politburo and the communist party. He never got over his arrogance, bossiness and unpleasant demeanor. It was reported about him in his last years that he was cutting ahead the local women in the food lines. By then Molotov was a non person so the matshuskas were not shy to tell him what they thought of him. 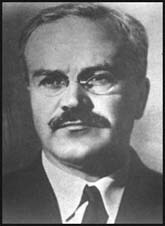 Molotov died in 1984. With the blood of thousands on his hands, he will have an infamous place in history. Still, in an irony of history his name will be remembered mainly through the Molotov cocktail, which was named to mock him. CD Cover from 2002. Molotov and Stalin are still remembered in songs mocking them.